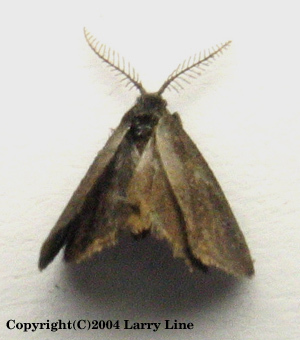 Records: 41 total records, 5 for Prince George's Co.
A Planthopper Parasite Moth in Prince George's Co., Maryland (6/9/2004). Specimen provided by Bob Patterson. Photo by Larry Line.